The device is currently (May 2018) in testing at the Department of Human Neuroscience - Institute of Child Neuropsychiatry - Sapienza University of Rome. Methodology for detecting and valorizing the hidden archaeological heritage, through geophysical surveys, 3D reconstruction and augmented reality. The virtual objects in the 3D model are linked to the real ones by means of a QR code and real information coming from the field are integrated in the simulator for increasing the situational awareness of the trainee. A test-bed has been set up to carry out experimental activities on hydraulic components and systems. The facility is based on a modular architecture, thanks to which the various functions such as the electric drive, the thermal conditioning and the filtration of the fluid, the high-pressure circuit and the test sections are inter-connected in a single structure. The management of the automatic functions of the bench has been implemented on open hardware (Arduino UNO). The present invention consists of a screening kit of specific biomarkers of lung damage from outdoor and indoor pollutants. Live stream of Italian national and local TV channels and radios, World TV channels selection, VOD, films, Made in Italy. Our scientific results enable novel forms of human intention recognition through haptic signals and novel forms of communication and cooperation between humans and robots. A sounding rocket program and a future Startup to send cargo in 40 minutes all around the world using suborbital rockets. Sensing applications (environment, security, smart-cities, archaeology) and processing (data-mining, AI, IoT) allowing the transformation of data into fruitful information. Design to Make is an interactive area focused on the creation of new materials, and urban usability IoT design services. A drone, automatic both in flight and recharge, that scares birds away, saving farmers' money and time. Istituto Motori di Napoli will present a demonstrator of a small-scale smart micro-network, which integrates typical of the Internet of Energy, including: home automation, renewable sources and electric mobility. The "ElectricSave" is a new rescue boat designed for lifeguards, completely electric, faster, more efficient and safer. Evoque is a fluid, osmotic and multi sensory space able to create an emotive and affective connection with the brand. It has the power to engage the visitor into an emphatic relationship with the brand through the interactive use of colours, lighting effects, sounds, perfumes and multimedia contents displayed on innovative screens that continuously change based on the user emotional state. Evoque realizes an experiential touchpoint for brand storytelling by combining tangible and physical elements with digital ones and by exploiting the potentialities of the multisensory stimulation to attract, capture and involve the customer in an emotional journey. 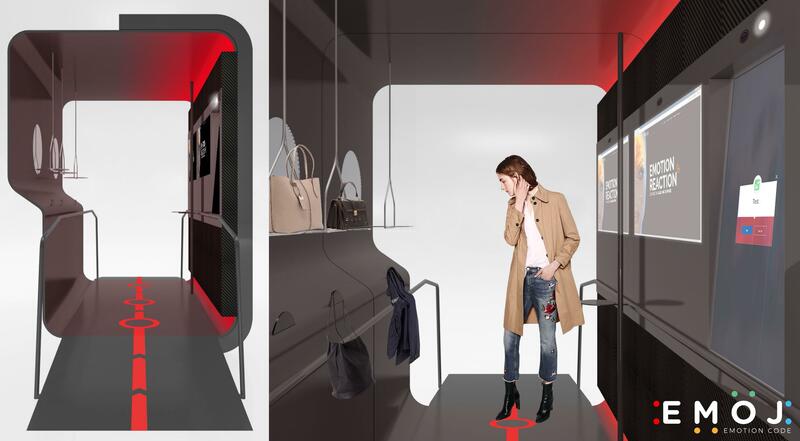 The interactive tunnel is provided with a connective intelligence enabling omnichannel reactions to the visitor’s behaviours and emotions felt when he/she is inside, surf the digital contents, touch the objects, plays with all the elements. Play with a simple experiment, and discover how astronomers are able to understand if a planet, outside our Solar System can be inhabited or not. But please, do not boil or froze the inhabitants. Active playing with autonomous robot is now possible for all, even for people with disabilities.